> Chicago Skyscrapers and Chocolate. Talleen and Robin Chicago style. 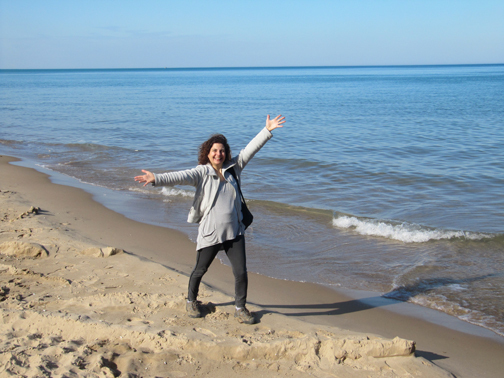 Last week my friend, Robin and I visited Chicago. We used to attend high school together at the International School of Geneva. We’d have a blast as moped-riding, fun-loving foreigners in Switzerland. Whether we reunite in Montreal, California or New York, we always have fun. Chicago was no different. Nathan G. Moore House, 1895 / 1906, Frank Lloyd Wright. On our first day we went to Oak Park, to the Frank Lloyd Trust. 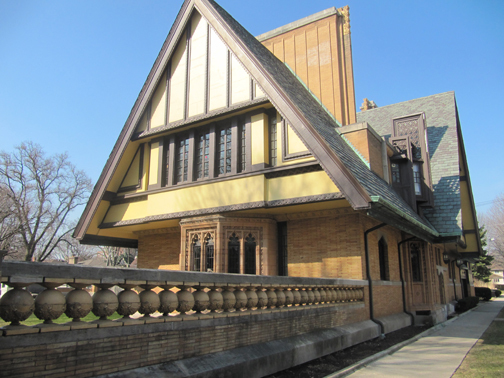 Oak Park, 10 miles from Chicago, has the largest collection of Wright-designed residential properties in the world. On an audio self-guided tour, we located the 19 homes and the Unity Temple. It was a treat to listen to the outstanding commentary while viewing the buildings. We also went on a guided tour of Wright’s home and studio. In 1991 Wright was recognized as “the greatest American architect of all time.” His designs definitely bear testimony to that claim. Robin meets the Property Brothers. Next we came across a remarkable sight. 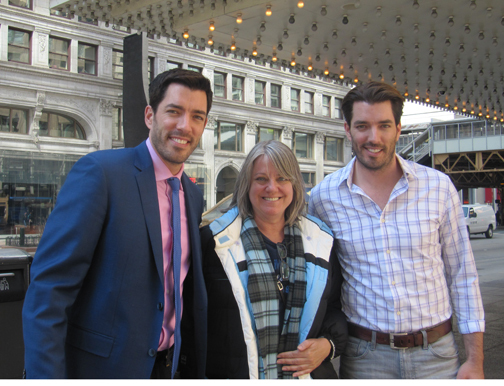 We bumped into the Property Brothers at the entrance of the Chicago Theater. That evening when we watched the twins sell and renovate real estate on TV, our hysterical laughs resonated on all 25 floors of the Omni Hotel! After Robin chummed with Jonathan and Drew, we went to Navy Pier. Originally designed for shipping, Navy Pier is Chicago’s lakefront leisure and entertainment area. 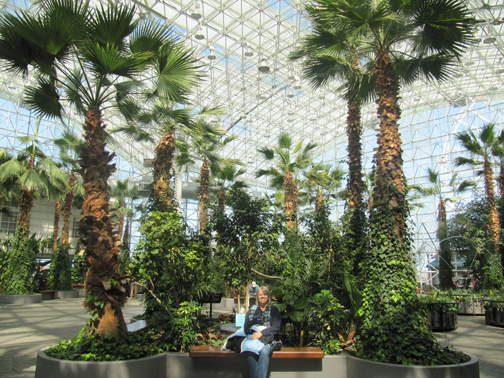 We had a a peek at the Crystal Gardens. Louis Comfort Tiffany, Smith Museum of Stained Glass. We also visited the Smith Museum of Stained Glass Windows. 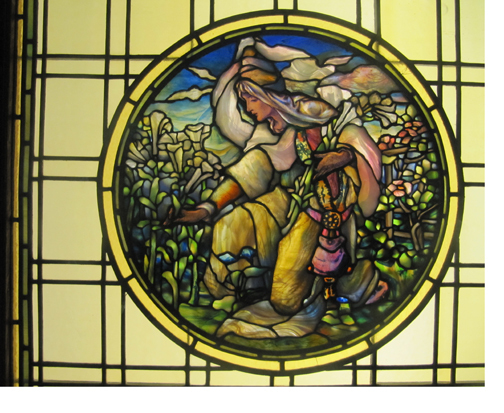 The collection has lovely pieces, from 1870 to present, including several Louis Comfort Tiffany windows. Of the 150 religious and secular pieces, most were originally installed in Chicago homes, churches and buildings. 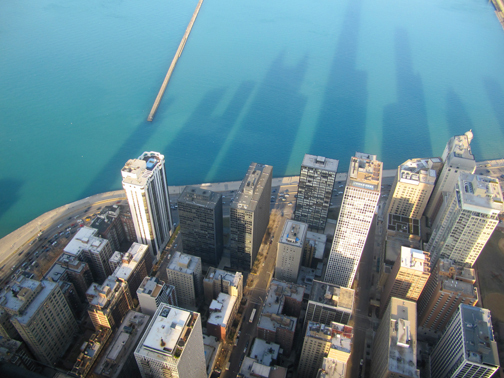 At 360 Chicago, the observatory tower, an elevator soared us up 1000 feet above the city. The view revealed that there was still a lot of ground to cover if we wanted to conquer Chicago, so we called it a day, dragged our screaming legs to pick up some Chinese take out and you already know who entertained us on TV. The next morning we took an architecture boat tour. 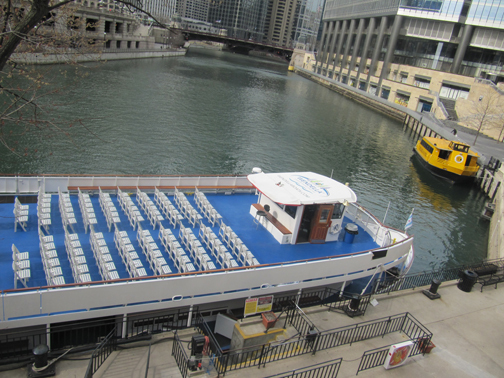 We departed from the Wendella dock at Trump Tower and went on a 75 minute tour that took us through the three branches of the Chicago River. 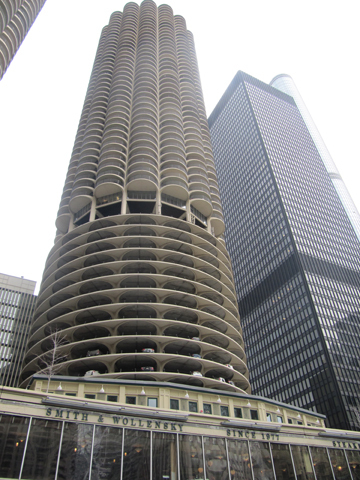 Marina City complex, designed by Bertrand Goldberg, 1959. 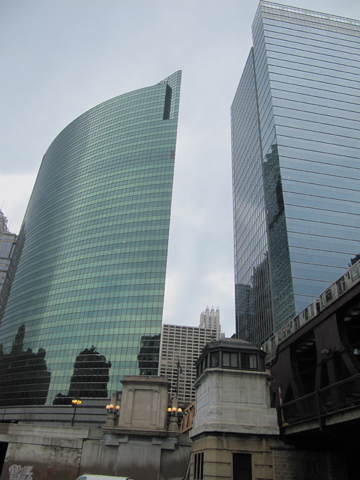 Our guide pointed out buildings and architectural styles designed by notable architects Mies van der Rohe, Bertrand Goldberg, and Skidmore, Owings and Merrill. From the business hub to the newer residential projects, it was interesting to observe the city from the vantage point of the river. 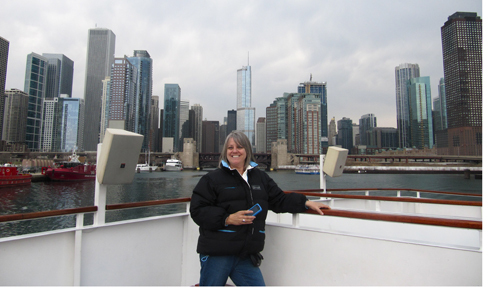 As our capitan navigated towards Lake Michigan the full skyline came into view. Our last adventure of the day was a walking chocolate tour to six establishments. 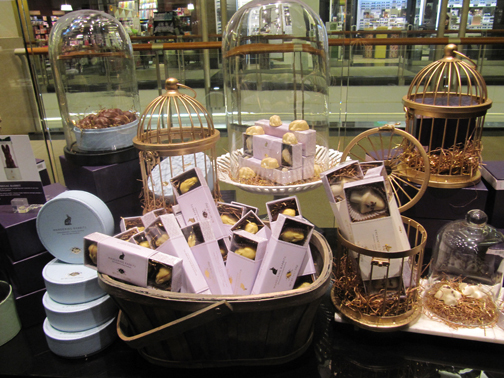 My favorite was Vosges, Chicago’s designer chocolatier that features truffles spiced with an array of exotic flavors ranging from allspice to ginger to hemp seed to wasabi. 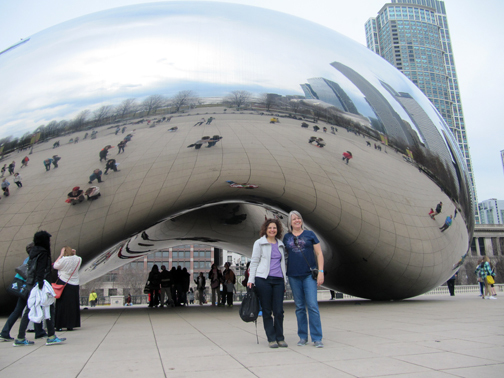 The chocolate pralines, the Omni Hotel, the art, the architecture and The Property Brothers made this trip with Robin unforgettable! As we’d say when we were 15, what a BLAST!